Two faculty members in the College of Liberal Arts and Sciences at Iowa State University will receive Cassling Family Faculty Awards. Elisa Rizo, associate professor in the Department of World Languages and Cultures, and Elanor Taylor, assistant professor in the Department of Philosophy and Religious Studies, will be recognized at the College of Liberal Arts and Sciences 2016 Fall Convocation on Wednesday, September 14, at 3:30 p.m. in the Sun Room of the Memorial Union. The Cassling Family Faculty Awards recognize and reward outstanding faculty in the College of Liberal Arts and Sciences. The two faculty members will each receive a $6,000 award. Rizo will receive the award for outstanding teaching performance over an extended period of time and Taylor will receive one for early achievement in teaching. The awards were established by Randal and Lori Cassling of Omaha, Neb., in honor of Randal’s parents, Robert and Rita Lenore Dunn Cassling of Omaha, Neb. Robert Cassling is a 1956 graduate of Iowa State while Rita attended Iowa State and was a Homecoming queen. 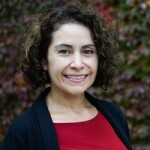 Rizo is receiving the award for outstanding teaching performance because she has distinguished herself since 2007 as an exemplary teacher of the Spanish language, as well as Latin America literatures, civilizations and cultures. Her teaching portfolio includes 11 meticulously designed or re-designed unique new courses, several pioneering online offerings and remarkably high evaluation averages: 4.65 for overall rating of instructor and 4.25 for overall rating of the course (with several superlative 5s). An internationally recognized scholar with a research agenda focused on Latin America and Hispanophone Africa, Rizo infuses her teaching with diverse perspectives on the development of major historical and socio-political events that have shaped the contemporary world. Taylor is receiving the award for early achievement in teaching because she inspires students to wrestle with abstract philosophical problems, interpret difficult philosophical texts, and use their discoveries to reflect on their own lives. Students admire her high ethical standards for herself and her students, which create a welcoming and inclusive classroom environment. She deftly uses humor, vivid illustrations, and her own philosophical knowledge to create a stimulating classroom dynamic, in which students engage in lively discussion and debate, articulating and defending their own philosophical positions. Through carefully crafted writing assignments and meticulous feedback, she empowers students to meet and exceed her high expectations.